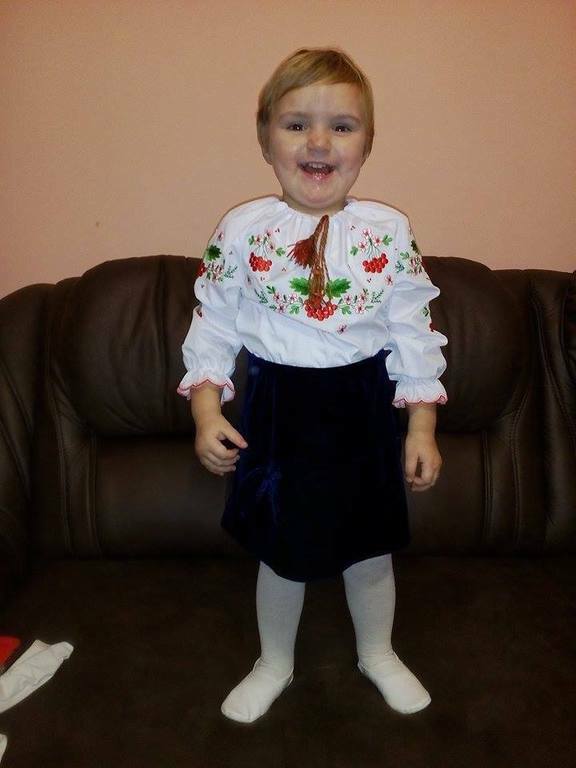 Thanks to the efforts of the United Ukrainian American Relief Committee (UUARC) whose members are volunteers and mostly Americans of Ukrainian descent, the most current rehabilitation equipment used in the United States has arrived at the Novi Zanzhary Medical Center of the National Guard of Ukraine. 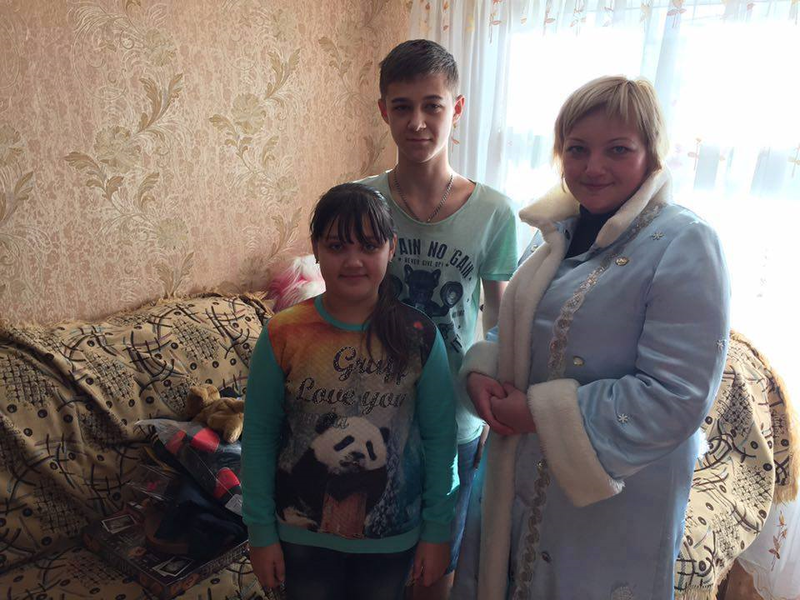 Recently, the president of UUARC, Dr. Laryssa Kyj, went to Ukraine to familiarize herself with the center's activivities in Poltava and to review the continuing needs for such supplies. 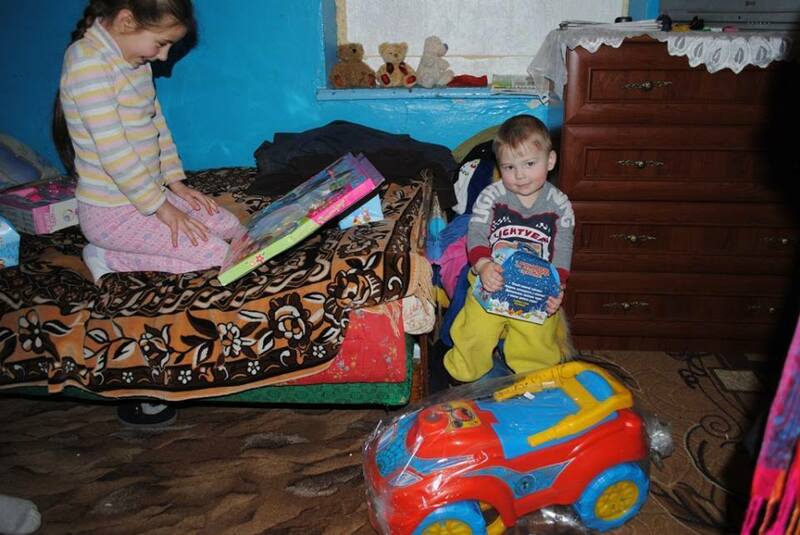 UUARC has worked closely with the National Guard of Ukraine since the beginning of ATO. It has repeatedly provided the Guardsmen with warm clothing and has sent the children of killed or wounded soldiers a variety of gifts. Most recently, the National Guard received the latest medical equipment totaling approximately $50,000 donated by caring Americans. 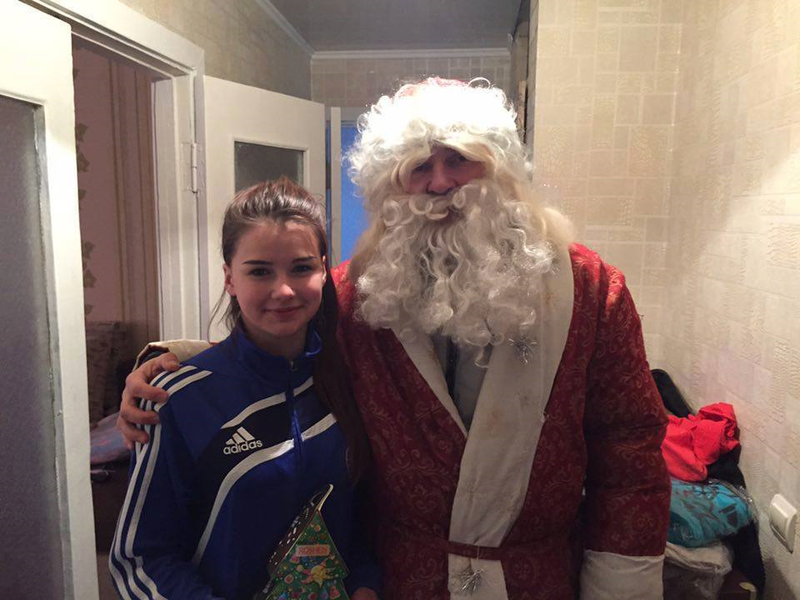 Novi Sanzhary received eight pieces of equipment, including a treadmill, a device simulating motion and other physiotherapeutic equipment which helps restore and rehabilitate the upper and lower extremities, as well as the affected muscles. 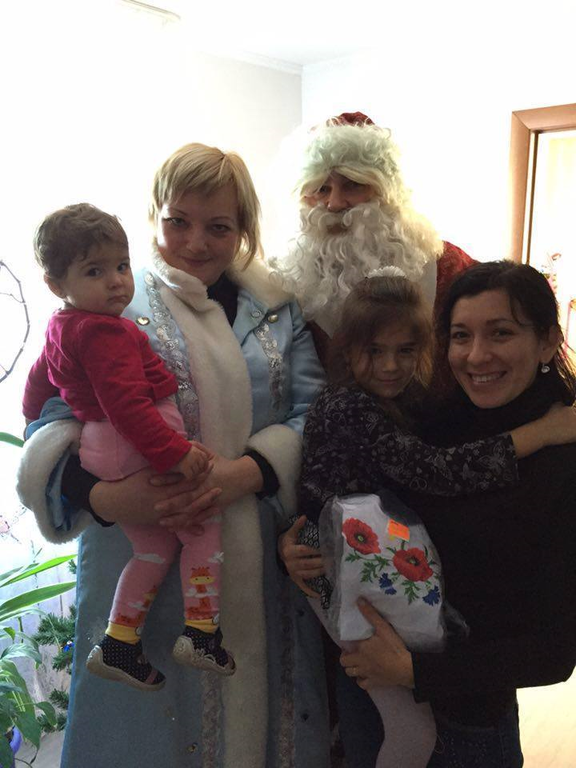 Along with Dr. Kyj, Mrs. Vira Brynko , who heads UUARC in Ukraine, also visited the medical center. 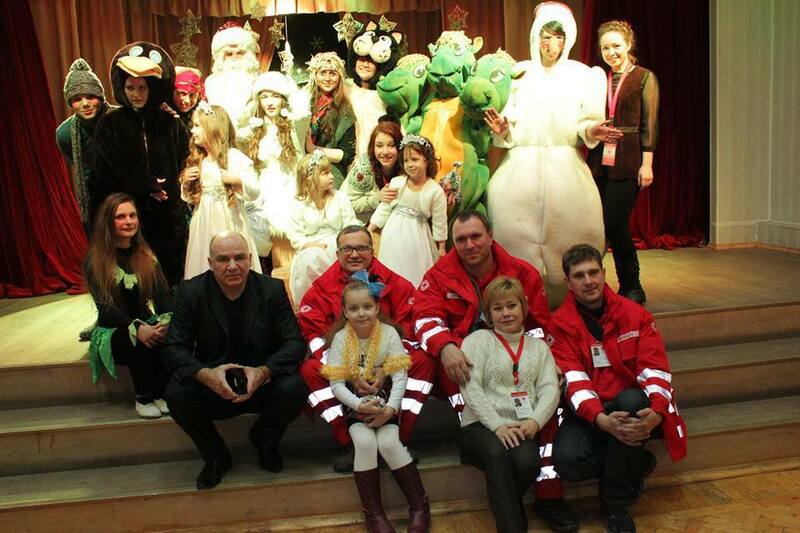 They were warmly greeted by the Deputy Commander of the National Guard, Major- General Yaroslavl Spodar, officers of the National Guard and by the leadership and staff of the medical center. Dr. Kyj and Mrs. Brynko toured the medical facility and saw how the equipment was utilized. They also attended a meeting during which they discussed the current state of rehabilitation support at the medical institutions of the National Guard and future cooperation between them and UUARC. Major-General Yaroslavl Spodar expressed the following words of gratitude: ,,On behalf of the entire staff of the National Guard of Ukraine, I want to thank the UUARC for your invaluable support. 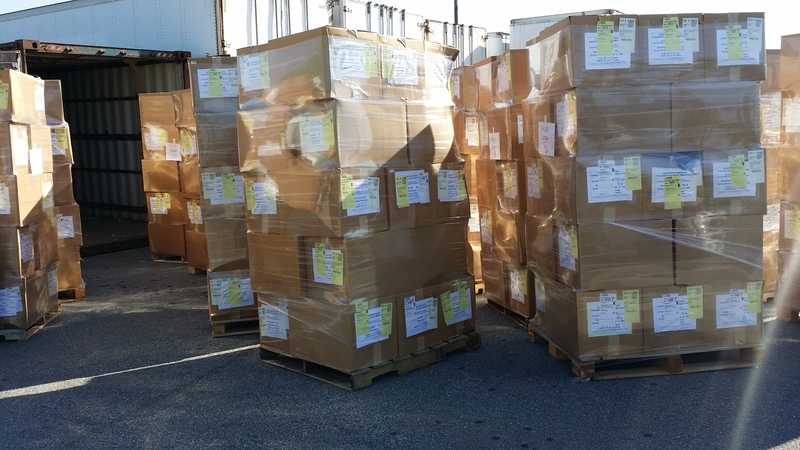 The equipment you sent will help restore the physiological well- being of our guardsmen. Because of your generosity, our fighters will be able to stand on their feet much faster." To express his appreciation, he presented the members of the delegation with several momentoes of their visit. Later, they were given a tour of the history room where they learned about the development of the medical facility. The visit concluded with a trip to the spiritual cradle of Ukraine in the city of Poltava. Here they the Poltava Museum of Local Lore and the estate of the famous Ukrainian classicist, Ivan Kotlyarevsky. 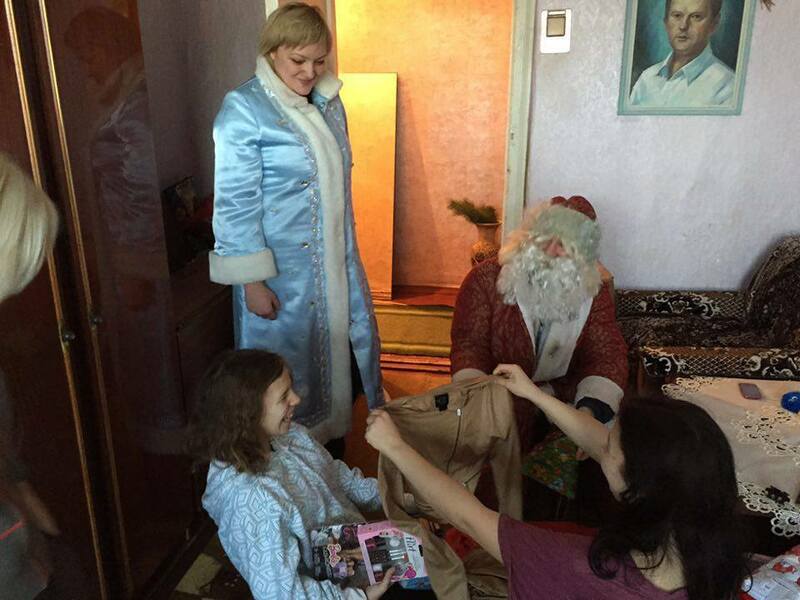 Additionally, the latest medical equipment and supplies were also delivered to the Kharkiv Military Medical Clinical Center of the Northern Region and to the Mechnikov Regional Clinical Hospital. 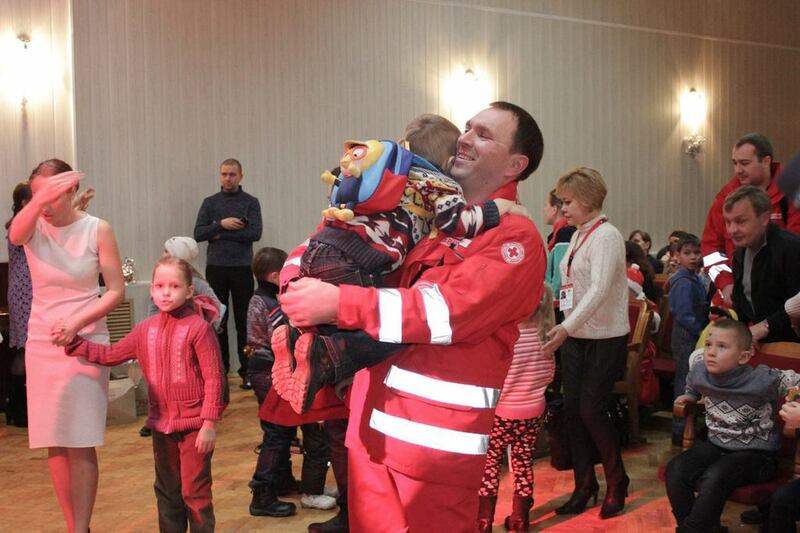 UUARC has been in existence since the 1940's and has helped countless Ukrainians all over the world. 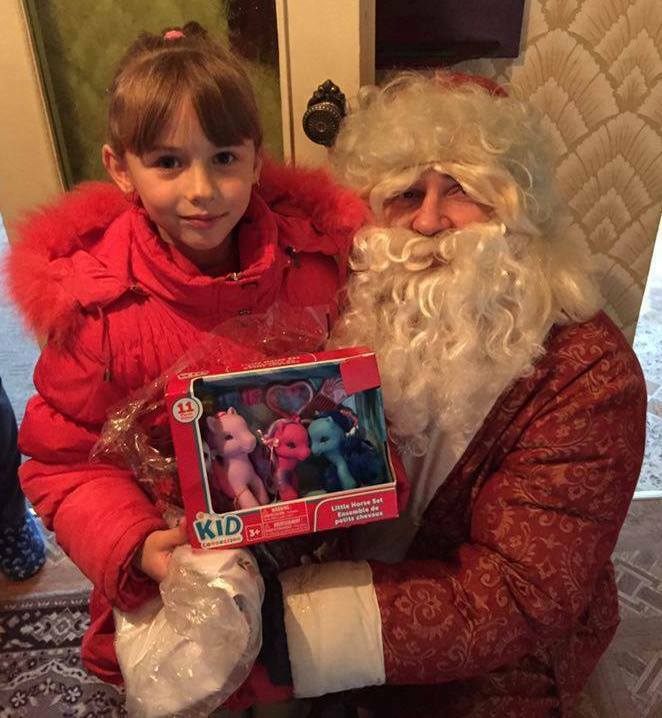 When the war began in the eastern part of Ukraine, UUARC was in the forefront in sending humanitarian aid to Donbas and assistance to the war zone. It continues and will continue to do so. 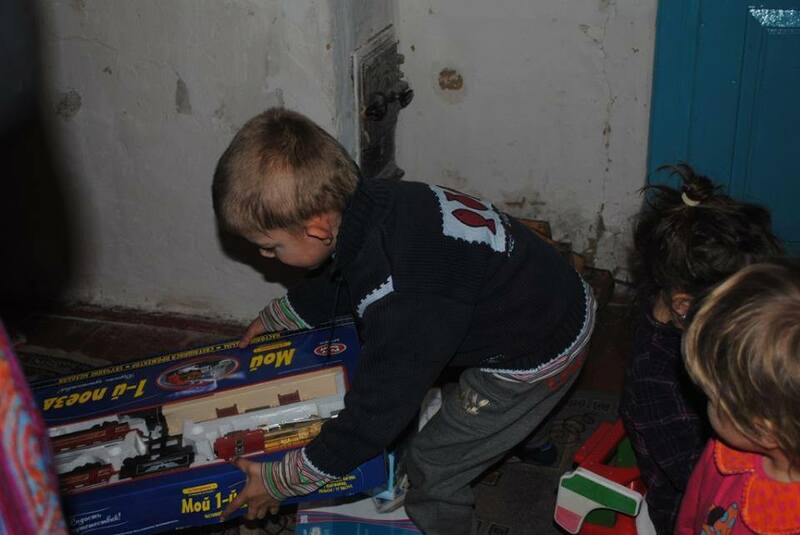 It is important to note that UUARC has not forgotten the children that are affected by the war by giving them the opportunity to travel where there is peace. Voice of America video - "From cultural programs to the rehabilitation of soldiers of the Anti-Terrorist Operations - how the Ukrainian Diaspora of the United States of America are helping their Homeland." Відео Голос Америки - Від культурних програм до реабілітації воїнів АТО - як українці США допомогають своїй Батьківщині. On 22 August 2016 during a commemorative event titled “Ukrainians of the world – for Ukraine” at the National Opera in Kyiv, Ukraine, the President of Ukraine Petro Poroshenko expressed sincere gratitude to 70 representatives of the Ukrainian Diaspora from 35 countries for their support for Ukraine. On the occasion of the 25th Anniversary of Ukrainian Independence, Poroshenko presented a prestigious national award, noting that these members of the Ukrainian Diaspora represent millions of Ukrainians throughout the whole world, who while being active members of their own national political groups, are also actively working on behalf of their historical fatherland, Ukraine. Among those who were awarded is Dr. Larissa Lozynsky-Kyj, president of UUARC. 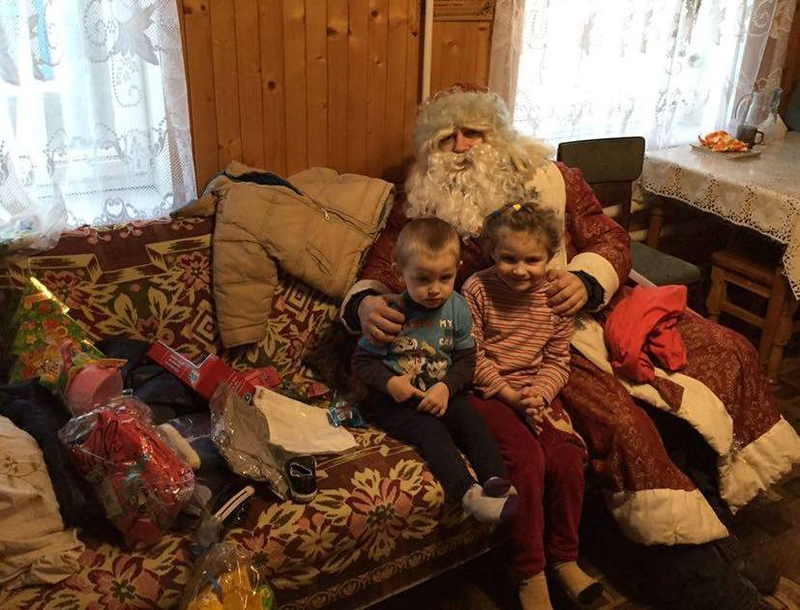 Yulia Bilashuk, a volunteer of the community organization Volyn Coordinating Center to Aid Combatants in ATO (Anti-Terrorist Operations), reported on the usage of $2,200 from UUARC, which brought Christmas joy to 135 children at a difficult time in their lives in Volynska oblast. 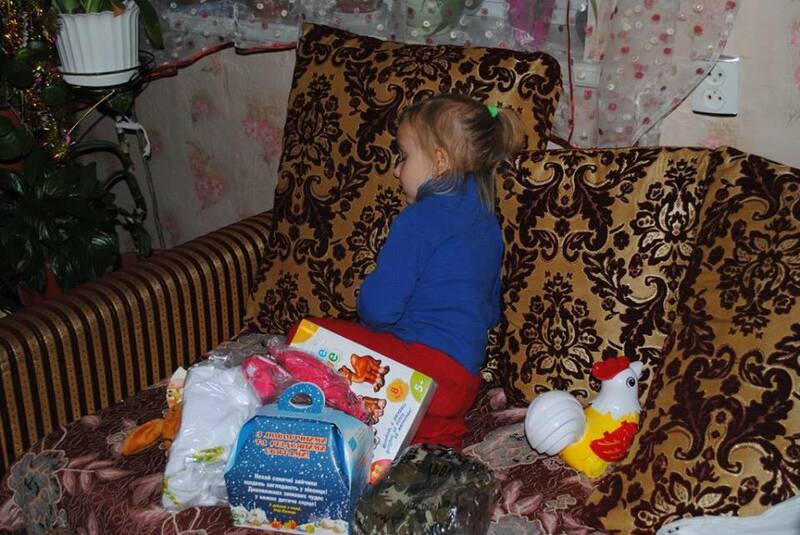 Perhaps these children temporarily forgot about their sorrows and deep, deep loss. 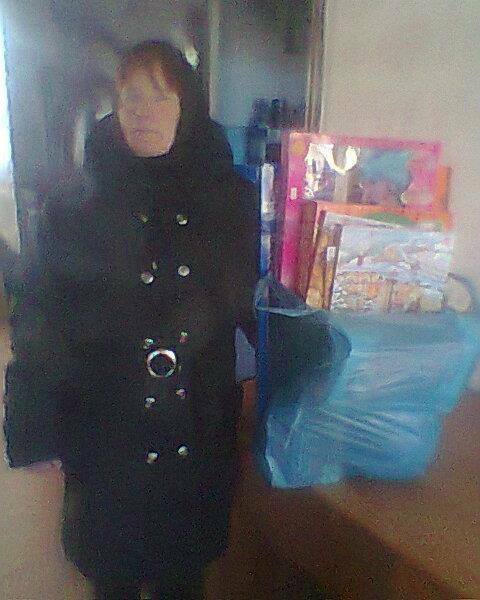 She contacted all the mothers or care-givers, asking what they would like for their children. She then further went out of her way to try to accommodate everyone. “Finally I can report on what was done still prior to the New Year, but as always, the reporting gets done only when there is some free time. 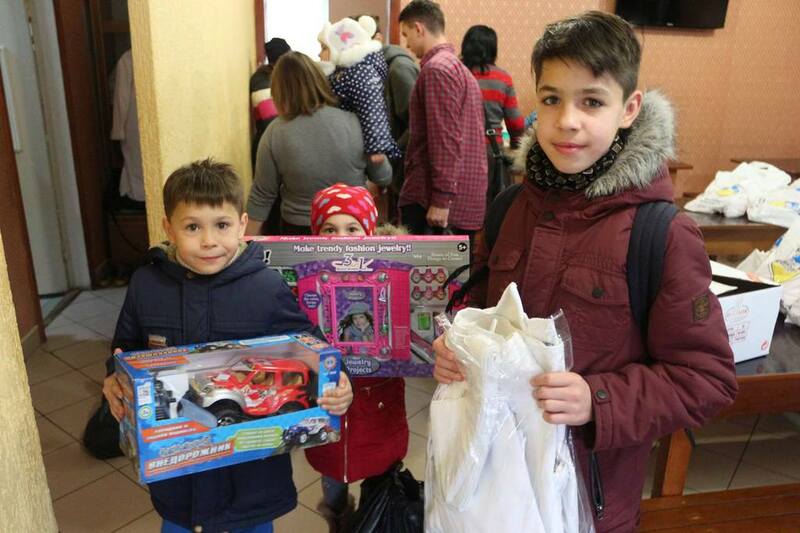 Thanks to caring benefactors, it was possible to have a small holiday program and organize gifts for 135 children of perished combatants from Volyn; specifically, thanks to the United Ukrainian American Relief Committee (UUARC), which donated $2,000 for their purchase. 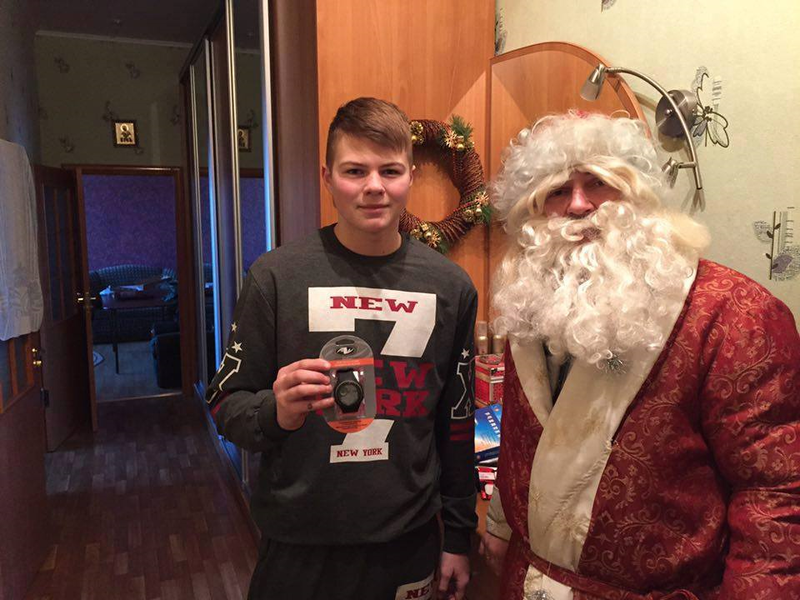 The funds were allocated toward the purchase of gifts for children of those who died prior to the Christmas and New Year holidays, and were used up fully, as evidenced by the checks on the final photos. 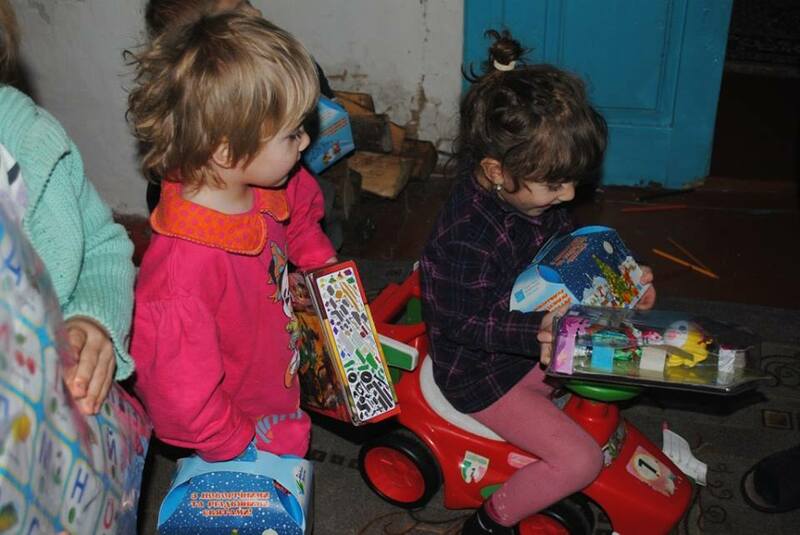 Additionally, sweets were added, gifts that other benefactors brought during this time; for which we are very grateful, since we had spent the funds not for the purchase of sweets, but for concrete and useful items. 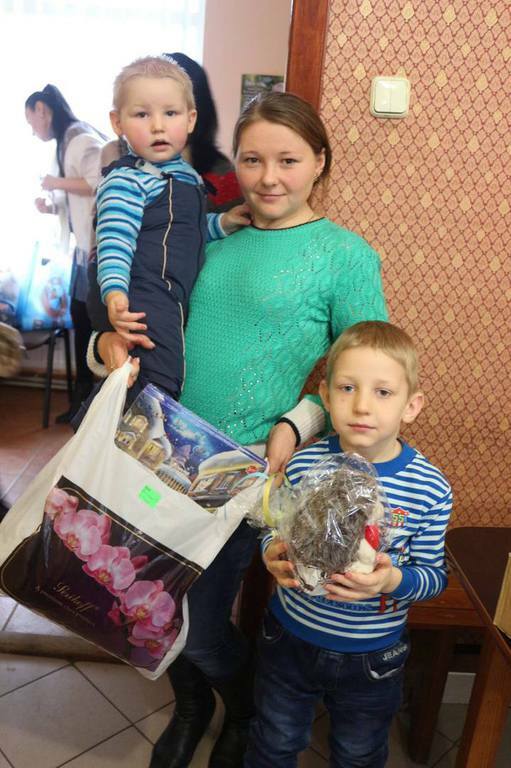 Individual gifts for each child were picked up at a frantic pace: various embroidery, children’s winter footwear, children’s clothing, age-appropriate toys matched to children’s preferences, sports items, books, etc. 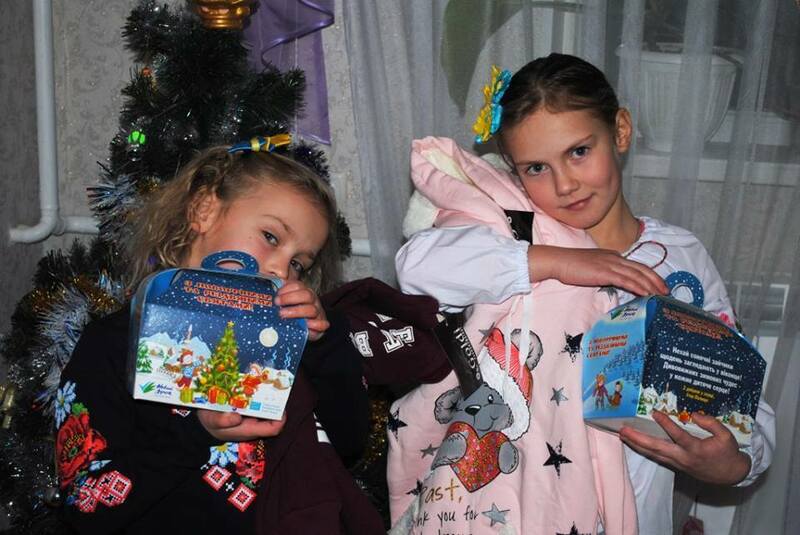 Families from Lutsk and the Lutsk District were treated to a brief entertainment program, after which gifts were distributed. 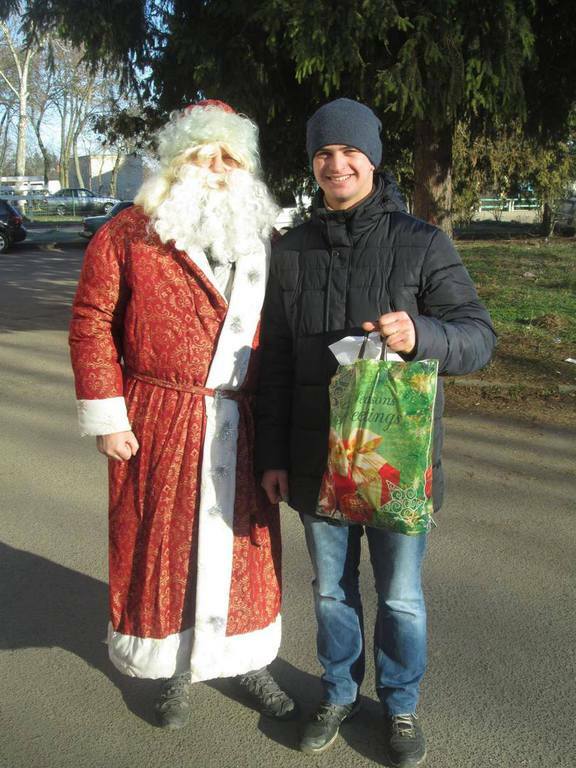 However, it took some effort to distribute presents to families from other cities and villages in Volyn Oblast. 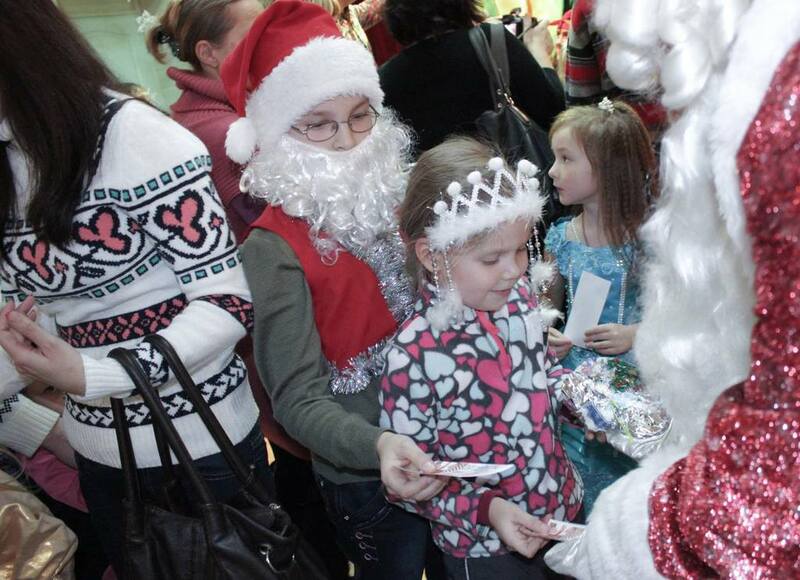 To achieve the latter, volunteers from all corners of our oblast were included, and thanks to our joint fruitful cooperation, we managed to get gifts for each child. 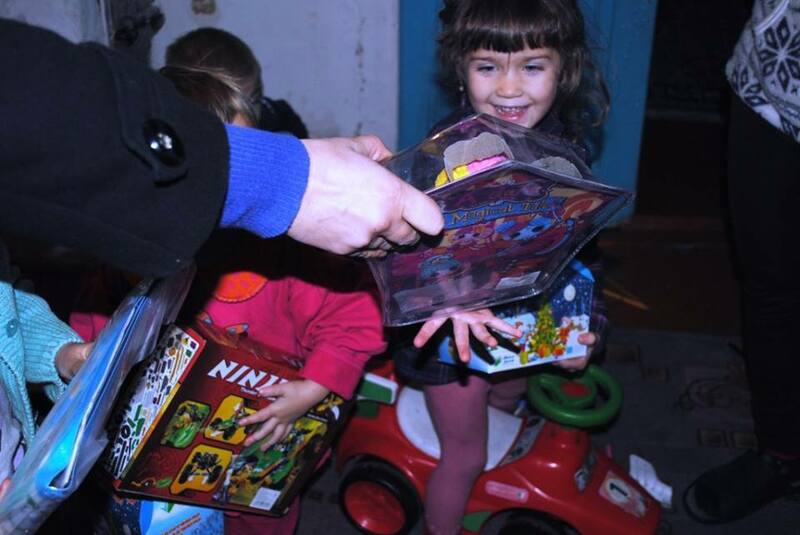 A great big thank you to all who helped deliver, purchase or simply bring joy to the children of Heroes! 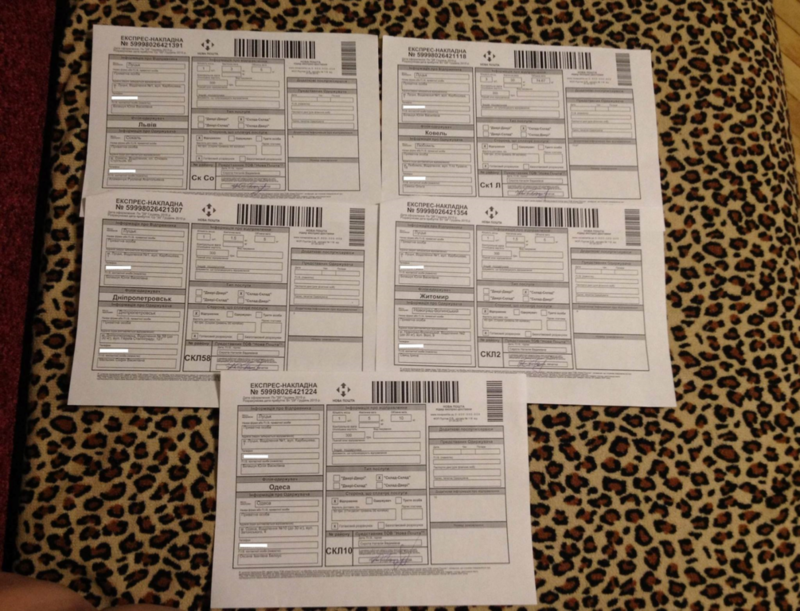 Through UUARC, Ihor Fedoriw, M.D. provided assistance to the soldiers of the Armed Forces of Ukraine in the area of Anti-terrorist Operations on the territory of the Donetsk and Luhansk oblasts with tactical sunglasses and comprehensive support of subunits of Sector “C”. 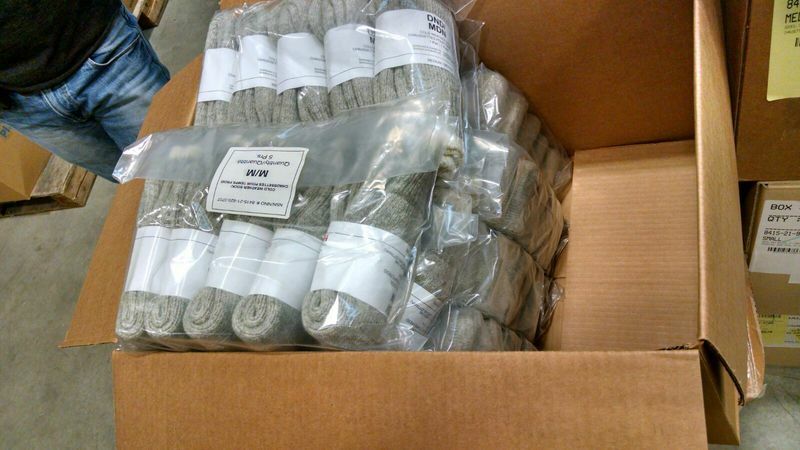 UUARC has purchased and shipped 40,000 pairs of thick woolen socks to Ukraine for the ATO soldiers in time for the harsh winter weather. 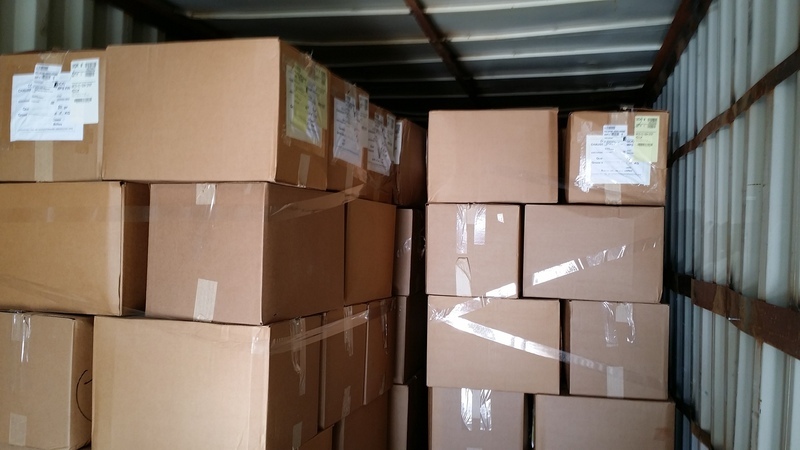 Special thank you to Victer James for packing the socks, 80 pairs per box, to fill the 40 foot container. 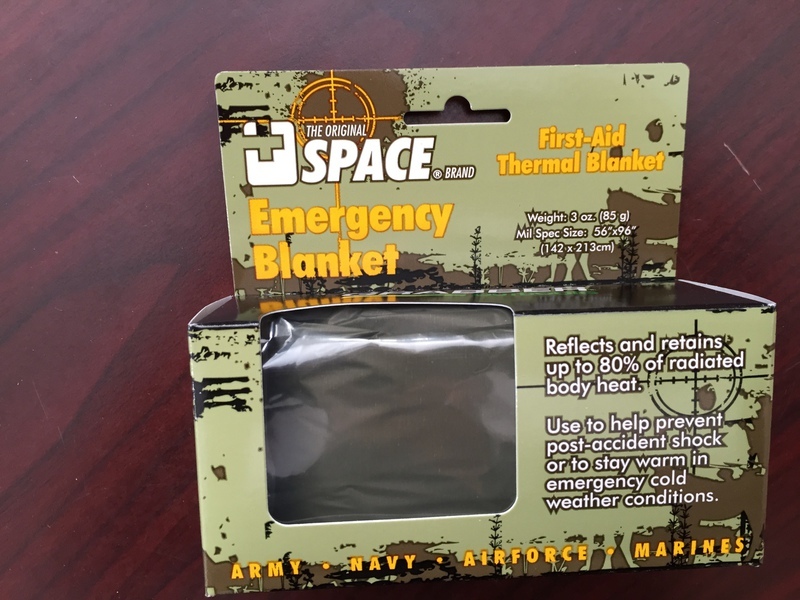 In February 2015, UUARC sent over 5,000 first aid thermal blankets, especially good for the injured on the front lines, to various Ukrainian volunteer battalions. 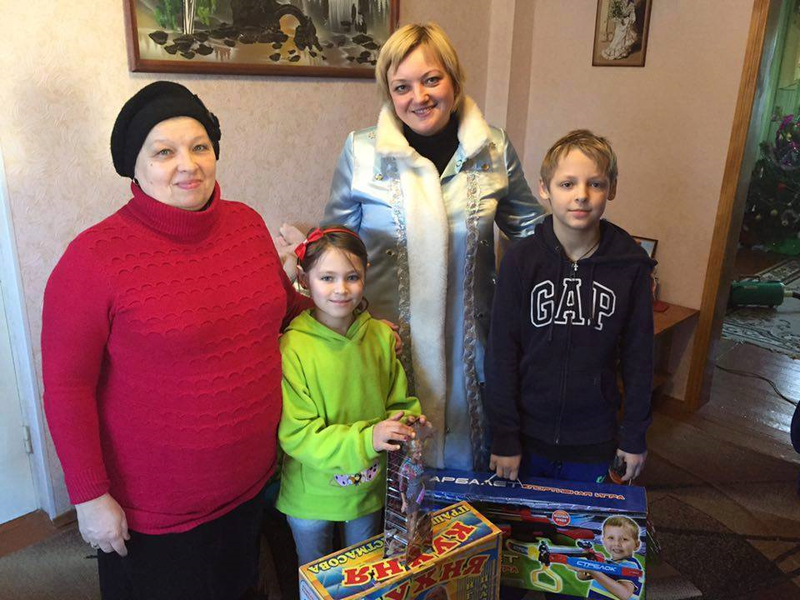 Pictured below are the blankest and volunteers at our Home Office: Bohdan Yasinovsky, son Roman, and neice Iryna. 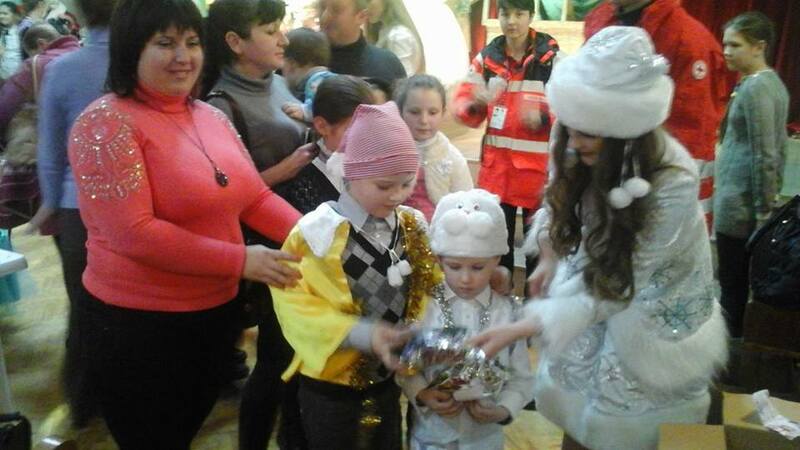 Children with disabilities, orphans, and children of parents who are involved in military conflicts, as well as, children refugees from the Eastern regions of Ukrainian took part in St. Nicholas Day celebrations, organized by Sumy regional organization of the Red Cross on 12.21.2014. 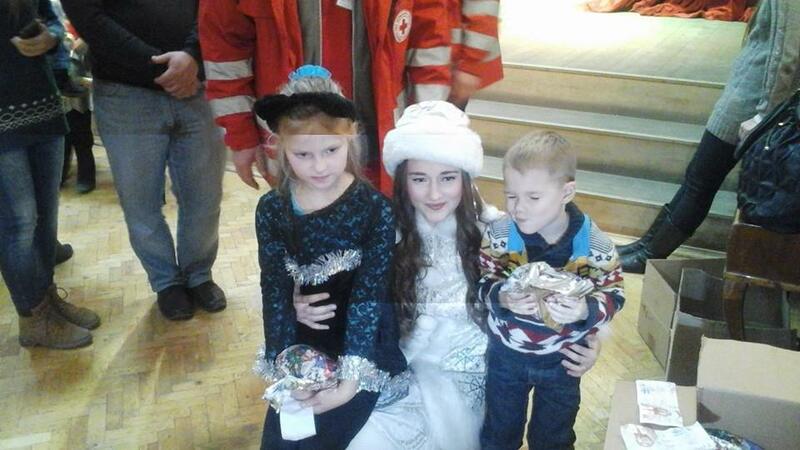 All children received sweets that were purchased by UUARC. 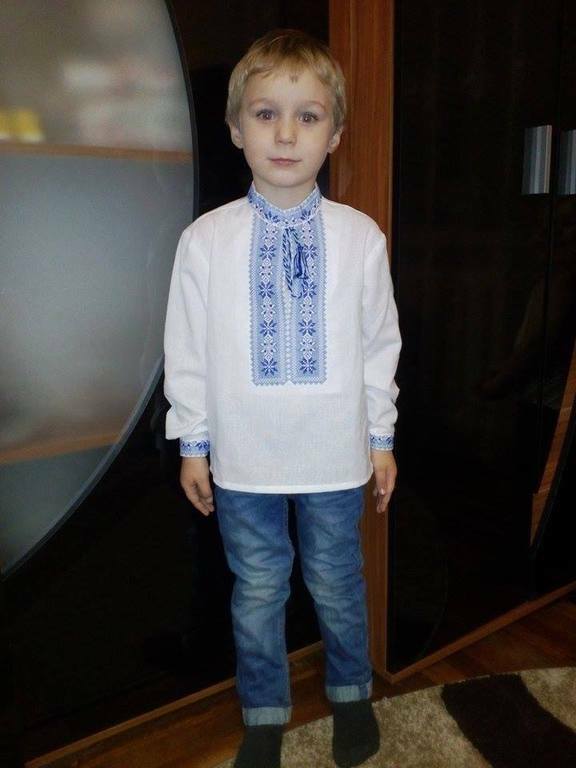 Діти-інваліди, сироти, діти батьків, які приймають участь в воєнному конфлікту і діти біженців із Східних областей України приймали участь у святі в День Святого Миколая, який був організований Сумською обласною організацією Товариства Червоного Хреста України 21.12.2014 року в актовому залі Вищого училища мистецтв і культури ім. 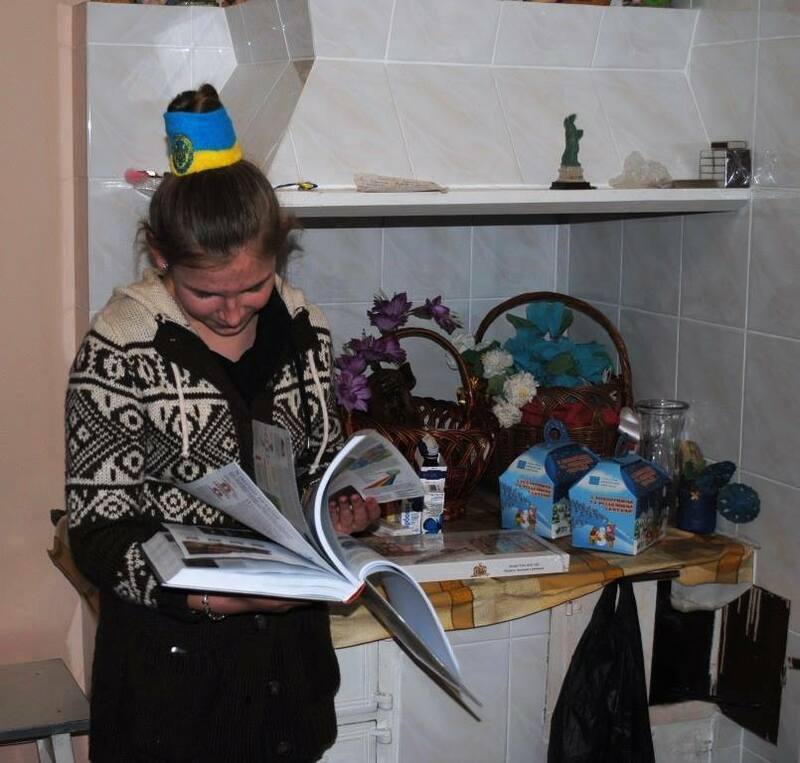 Т.С.Бортнянцького, де їм було дано театралізоване представлення. Всі діти отримали солодощі, які були закуплені за рахунок коштів ЗУAДК. Learn more about UUARC's program 'Know Your Native Land' or 'Piznaj Svij Ridnyj Kraj' and the 'Christmas Joy' or 'Rizdvyana Radist' project by clicking here. The group on Yale's Old Campus on Ukrainian Independence day. In August, 23 young Ukrainian clergy, psychologists, and psychiatrists came to the U.S to attend a Post Traumatic Stress Disorder Seminar at Yale University Medical School in New Haven, CT. The initiator was Dr. Ulana Suprun, and Dr. Martha Boyko, was key in having Yale University Medical School, Department of Psychiatry host the seminar. 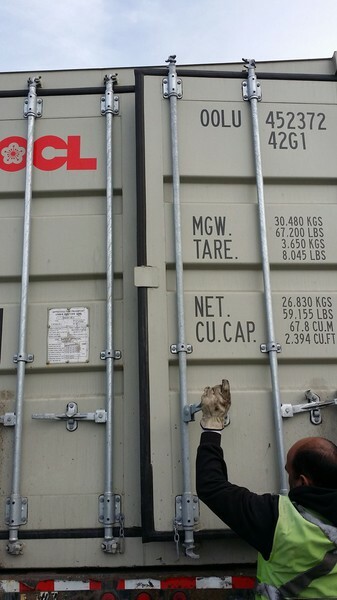 The program was a partnership between Yale University School of Medicine, Open World Leadership and the United Ukrainian American Relief Committee (UUARC). 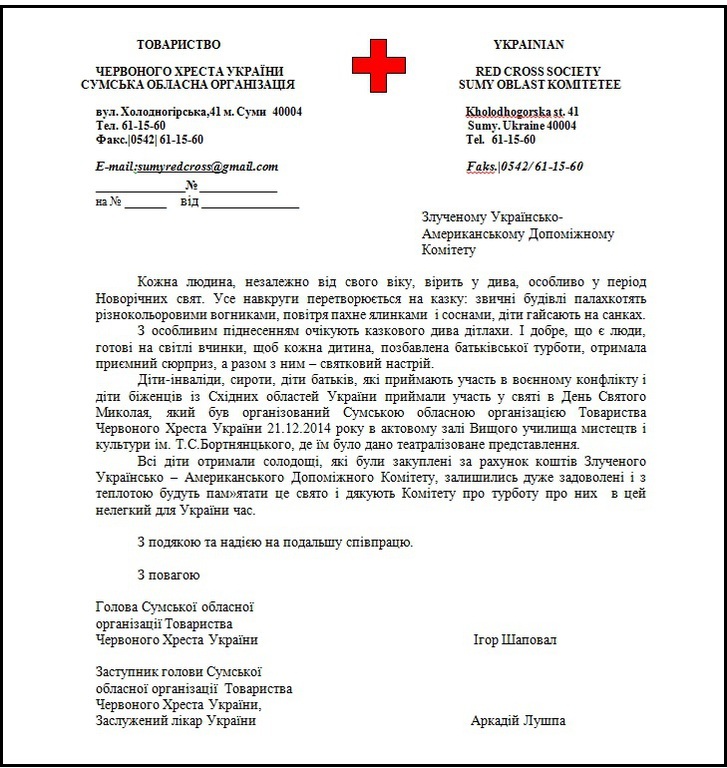 The program provided Ukraine’s clergy, young psychologists and psychiatrists with specialized training targeting the understanding and treatment of post-traumatic stress disorder for rehabilitating injured warriors but also addressing the needs of a traumatized nation seeking to tame the bane of corruption and align itself with European democratic norms to ensure that all citizens enjoy equal opportunities and equal protection under the law. On Wednesday, August 27 Yale hosted a reception for the participants and guests at which both senators from Connecticut, Senator Richard Blumenthal and Senator Chris Murphy greeted the attendees. Our sincerest gratitude and admiration goes to Yale University, especially Dr. Southwick program organizer, Dr. Krystal Chair of the Department of Psychology, and Dr. Steven Marans Director of Child Trauma Services at the Yale School of Medicine, for organizing this seminar. For this training purpose Yale brought in from Hawaii the premier trainer in the field of psychological first aid, Dr. Patricia Watson, who lectured for several days. After returning to Ukraine, some of the participants were dispatched to military hospitals in Kyiv, Dnipropetrovsk, and Lviv. 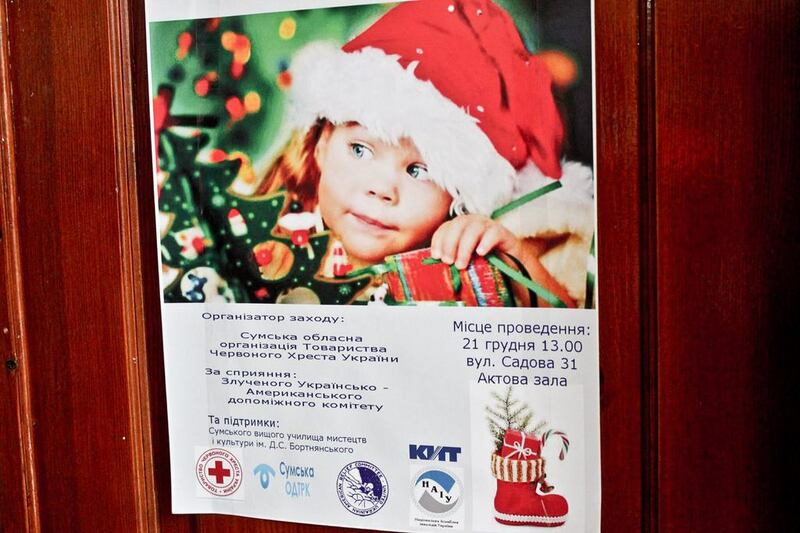 Others set out to the war-torn East Still others are developing training programs in Ukraine. UUARC would also like to thank the Open World Leadership Forum, and UUARC sponsors in this program. 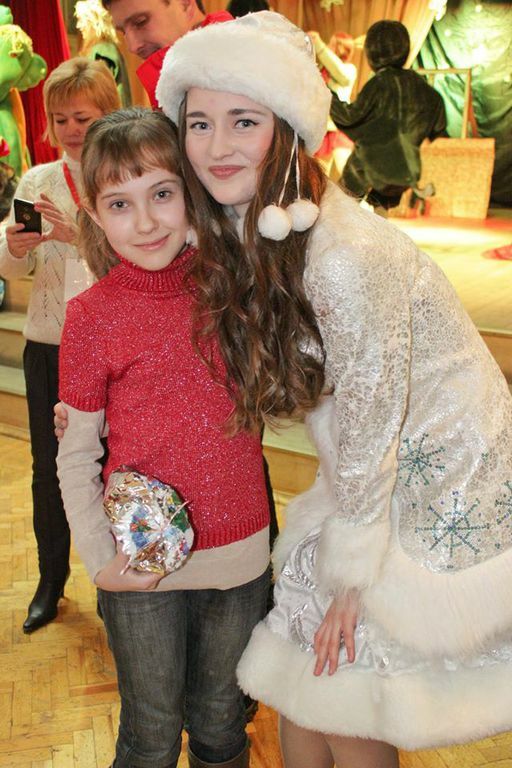 A special thank you to our main sponsor Kyiv Star. Thank you also to Mr. Chopivsky, Denton Law firm in Ukraine, Dr. Peter Lenchur, President of NY chapter of UMANA, and numerous other sponsors. UUARC is extremely grateful to the Ukrainian American communities in New Haven and Hartford, who made the participants’ stay in the U.S. a truly memorable one. 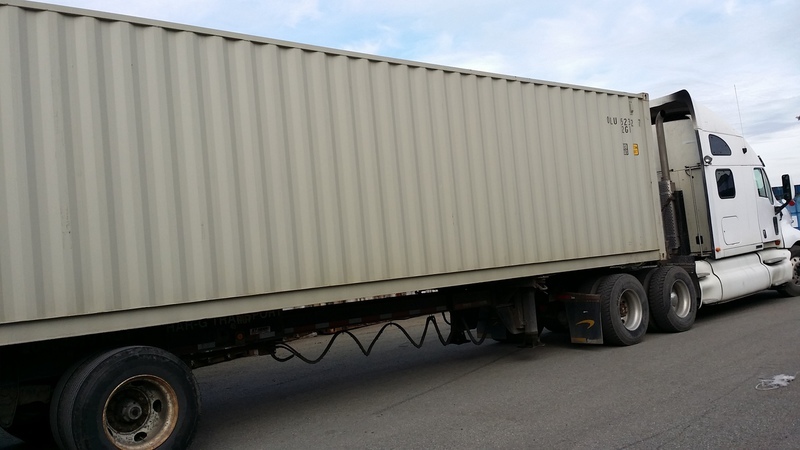 We would also like to acknowledge the following individuals who worked on the logistics and operational needs to make this program successful and the participants feel truly welcome: Dr. Marta Bojko, Myron Melnyk, and Myron Kolinsky. A $1,000.00 check was presented by Michael Duda, Treasurer of Organization for the Rebirth of Ukraine (ODWU) Branch 7 McAdoo, PA to Borys Pawluk, Vice President and Ulana Prociuk, Secretary of UUARC at the 23rd Festival at the Ukrainian Homestead of ODWU, Inc in Lehighton, PA after the opening prayer by His Grace Metropolitan Stefan Soroka. On July 19, 2014 ODWU Branch 7 at the Ukrainian Homestead of ODWU, Inc in Lehighton, PA organized a Caberet Fundraiser for Maidan Victims.